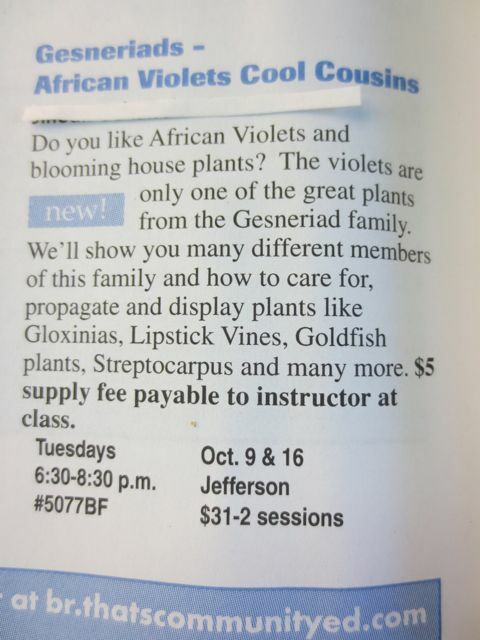 North Star African Violet Council Twin Cities: Commuity Education! 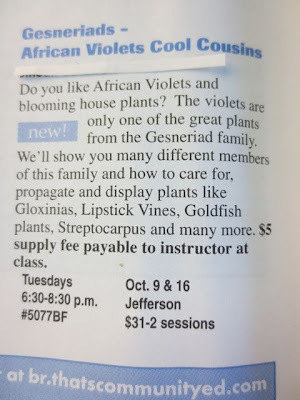 Well.... we've got a Gesneriad and African violet related community education class coming up in October! This will be a grand experiment to see if we get enough interested people to have the class take place, but it's the first step to seeing if this works!